KEYS AT HARBOUR ISLAND! Live the lifestyle you deserve in this exclusive, gated community, nestled in a lush tropical setting with a sparkling community pool in one of Tampa's most sought after locations. Northeast facing townhome has been EXTENSIVELY UPGRADED and offers a surround sound system, crown molding, pond views and privacy from one of FOUR covered porches. Upon entering, you’ll find hardwood floors throughout, a well-appointed office with French doors as well as a formal dining room with architectural columns. A light, bright family room includes built in storage, a gas fireplace and wine fridge. The chef’s kitchen boasts quartzite counters, range hood with warming lights, stainless appliances and glass tile backsplash. 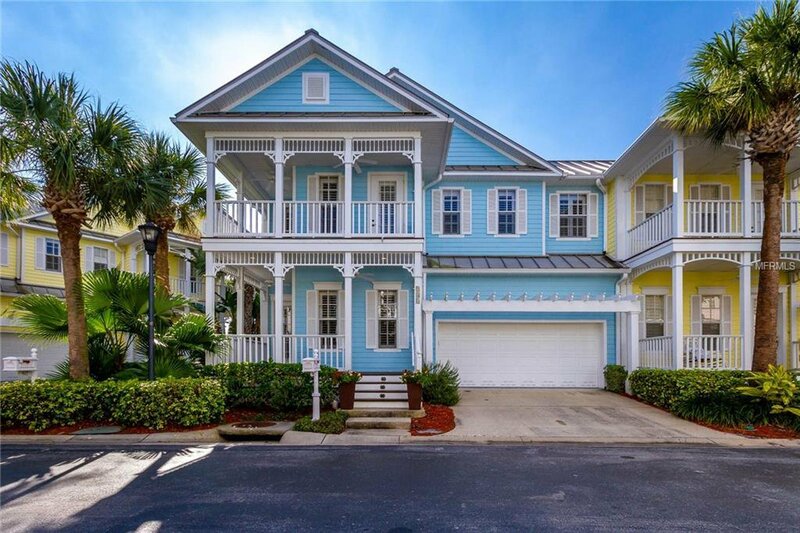 A generous master retreat features its own balcony for morning coffee or relaxing at the end of the day, a CUSTOM walk in closet, impressive master bath with separate garden tub & shower and NEW double vanities. The secondary bedrooms share a NEW Jack and Jill bathroom with balcony access and a Murphy bed for effective use of space. Additional features include an extra large laundry room with sink and storage and a two car garage with electric bike lift and storage. Enjoy the relaxed lifestyle with walking and bike paths to the waterfront. The nearby shops and restaurants of Channelside and downtown will be at your fingertips as well as easy access to I275 and Tampa airport. Listing courtesy of RE/MAX CAPITAL REALTY. Selling Office: TORRENCE REAL ESTATE EXCHANGE.